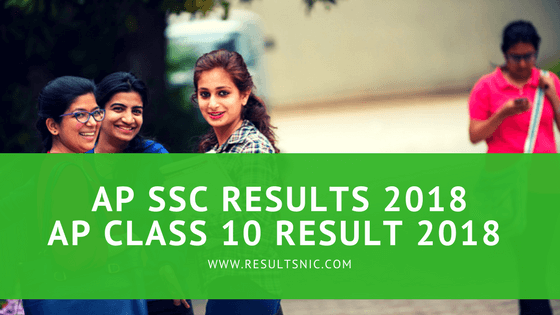 Andhra Pradesh 10th class students who have appeared for the Andhra Pradesh SSC Class 10 examination 2018, can check their result on the official website now. The students can get their result by submitting the name and roll number in the form given on the official website to get their result. In 2018, 94.48 percent students cleared the AP SSC Class 10th Exam. The pass percentage of girls is 94.56% while for boys got 94.41%. Prakasam secured first place with 97.93 pass percentage. Nellore district has the highest pass percentage with 80.30 percent. About 5,343 schools have got 100 pass percentage while 17 schools have nil or zero pass per cent. The AP Board has announced advanced supplementary exam date for 2018. The exam will start from June 11, 2018. The application for the supplementary examination will start now. The AP Education board has given the direct website link to check AP SSC CLASS 10 RESULT 2018. The link is given below. AP students just need to enter their names and respective roll numbers for checking the AP SSC Class 10 results. Pass Percentage on AP SSC Class 10 Result 2018 are given below. 292736 boys got passed out of 3,10,054 and 294473 girls passed out of 278,439 appeared. The total Aided schools pass percentage is 87.97% and AP Govt. schools pass percentage is 94.98%. The pass percentage of private candidates is 79.35%. The pass percentage of private schools is 98.11%. 5343 schools got 100% result in AP SSC 10th Class examination and 17 school is on 100% failure. BSEAP released an application in google play store to check the results from android phones. Students can install the app and check the results from their phones directly. 2) On the website student can enter his rollnumber. Enter the rollnumber and press submit. 3) On the new page the result will show.